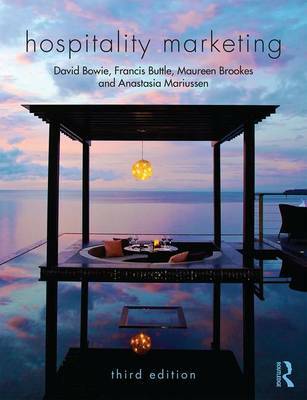 This introductory textbook shows you how to apply the principles of marketing within the hospitality industry. Written specifically for students taking marketing modules within a hospitality course, it contains examples and case studies that show how ideas and concepts can be successfully applied to a real-life work situation. It emphasizes topical issues such as sustainable marketing, corporate social responsibility and relationship marketing. It also describes the impact that the internet has had on both marketing and hospitality, using a variety of tools including a wide range of internet learning activities. Coverage of hot topics such as use of technology and social media, power of the consumer and effect on decision making, innovations in product design and packaging, ethical marketing and sustainability marketing Updated online resources including: power point slides, test bank of questions, web links and additional case studies New and updated international case studies looking at a broad range of hospitality settings such as restaurants, cafes and hotels New discussion questions to consolidate student learning at the end of each chapter.